A total of 150 Indian peacekeepers serving with the UN Mission in South Sudan (UNMISS) have received medals of honour for their dedicated service and sacrifice. 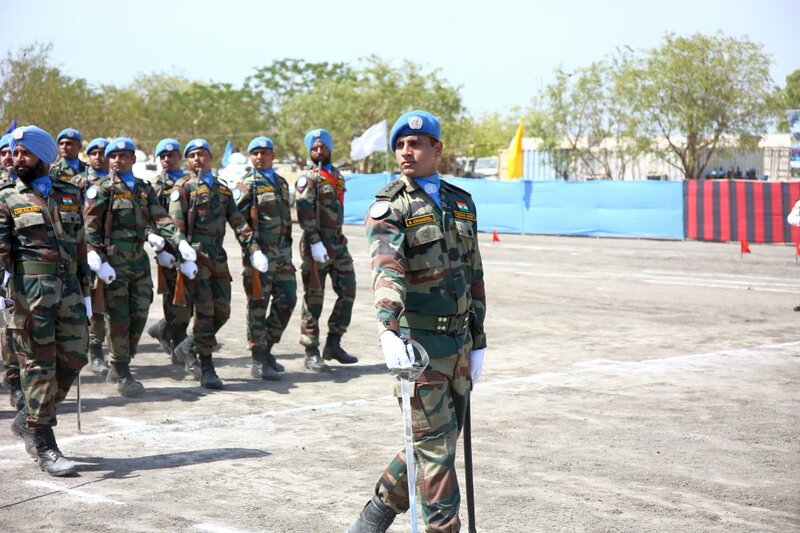 A glimpse beyond the dedicated Service and Sacrifice of the @UN blue beret – Indian peacekeepers receive medals of honour in Malakal -@India Be Proud, he UN mission tweeted Monday, along with pictures of the Indian peacekeepers participating in a parade and receiving the medals for their exemplary service. Colonel Amit Gupta, deployed with UNMISS in Malakal, was among the recipients of the medal of honour. A UNMISS news article said Gupta commands a battalion of 850 soldiers in the Upper Nile region of South Sudan. Under his command, his men have conducted highly sought-after veterinary camps and run a veterinary hospital in Malakal, with a second expected to be completed in Kodok a major town along the west bank of the Nile in a few weeks’ time. If a group of volunteers in India can come together and create one of the largest milk production entities in our country, then surely, it can be done here as well, he says, If even 10 percent of our trainees apply what they’ve learnt, this country will be better for it. During his deployment, Cheema has participated in air and riverine patrols and is also among the distinct men who are in his Commander’s quick-response force.